The Committee room is the smallest of the three rooms & measures, 5.74mx5.31m. The room is a very popular meeting room (being the room we use to hold our committee meetings) & also doubles up as a bar room. The Village hall is licenced to sell alcohol so please contact us if you wish to have a bar at your function. 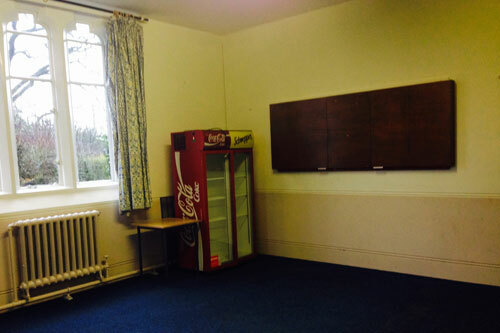 The room is also used by a ladies darts team which use the hall every week. The lighting is fluorescent strip lights, with the addition of two spot lights for the dart boards. The furniture is the same as in the other rooms.